Are you a Facebook addict? Aside from needing to break the addiction How To Beat An Addiction to Facebook How To Beat An Addiction to Facebook Facebook addiction is a very real thing. Here are some tips that will help you beat it. Read More as soon as possible (seriously, it’s not a healthy way to live your life This App Rewires Your Brain to Live Healthy and Get Things Done This App Rewires Your Brain to Live Healthy and Get Things Done Plenty of apps want to help you track your habits, but this app in particular actually rebuilds your thinking and your routines to become more productive and healthy. Read More ), you also need to give some serious consideration to your data usage. If you’ve had a few “shock” bills from your carrier land on your doorstep, Facebook could be to blame. Between high-resolution images and auto-playing videos, the app can burn through data in no time. Of course, you can turn off auto-playing videos by going to More (the three horizontal lines in the top right-hand corner of the screen) > Help and Settings > App Settings > Auto-play. But there’s a better way: use the Data Saver tool. Data Saver not only prevents videos from playing automatically but importantly, it also reduces the resolution of any images in your feed. To set it up, head to the More menu in the top right-hand corner or your screen. Scroll down until you find Data Saver. It’s in the Help and Settings section. On the next screen, make sure you slide the toggle next to Data Saver on into the On position. When you enable the setting, a new option will appear. It allows you to disable the Data Saver feature while you’re connected to a Wi-Fi network. To further reduce your data usage, there are a couple of other hidden settings you might find useful. Go to More > App Settings and turn off the toggles next to Upload photos in HD and Upload videos in HD. As a last resort, you can install Mobile Protect. Navigate to More > Mobile Data to get started. 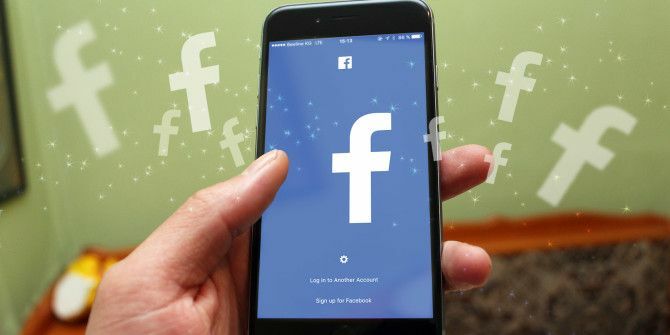 Do you find Facebook uses too much data? What steps did you take to remedy the situation? Let us know in the comments below. Explore more about: Data Usage, Facebook. I don't find too much data. I added a Chrome shortcut to facebook on my home screen and I don't use the facebook app. I use Puffin for Facebook. Its a lighter version of Facebook and it tells you how much data it has saved everytime you use it. Its in the Google app store. They have a browser as well but I like Brave better.